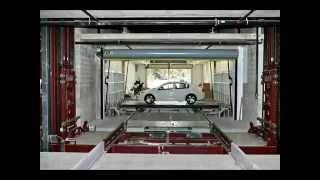 Automated Self Storage Systems & Management - Westfalia Technologies, Inc. Storage space is at a premium for consumers, manufacturers and distributors. Many people turn to industrial self-storage facilities as an off-site storage option, especially in urban areas, near colleges and schools, or in dense industrial areas. Traditional self-storage facilities can be problematic because of security concerns, access issues, and the difficulty of moving goods into and out of storage bays. Automated self-storage units overcome these obstacles while providing the necessary space at a reasonable cost. 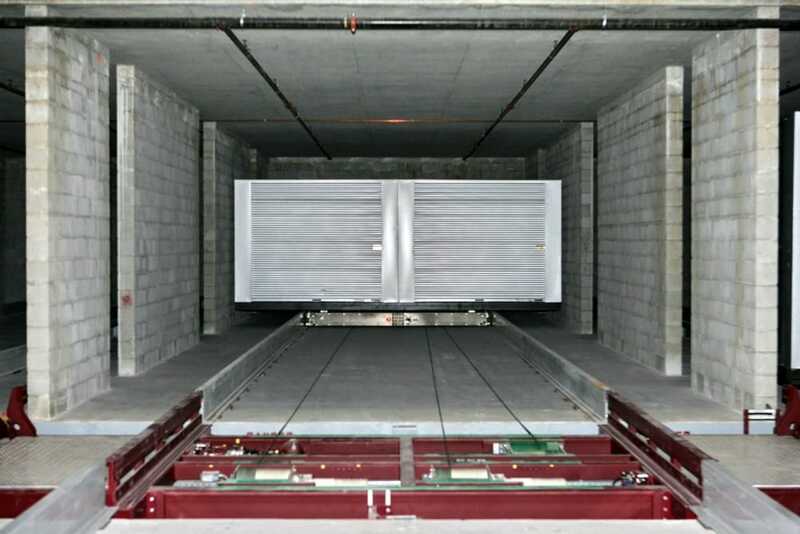 Automated self-storage systems consist of multiple storage modules provided in industry-standard sizes that are stored on racks within the building. The self-storage management system keeps track of the location of every module. When your customer needs storage unit access, the system selects the customer’s module and delivers it to the loading dock automatically. The customer loads or unloads the module, and then the system returns the module to a location in the racks. Your customers only need to know their access pin. 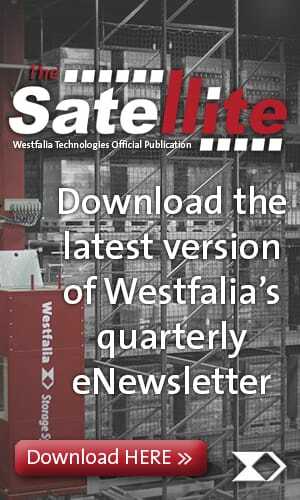 Automated self-storage systems from Westfalia Technologies provide anytime access to storage units, with continuous monitoring for security and peace of mind. The units are climate controlled, so users don’t need to worry about temperature, humidity, or dust and dirt contaminating their valuables. Each unit can store up to 16,000 pounds of goods. Additionally, the units are large enough to hold an automobile, boat or trailer for complete flexibility. At Westfalia Technologies, our team works with you to custom-design your automated storage to fit your facility, so you achieve maximum storage space. We ensure that your installation meets building codes, so you don’t have to worry. You can even stack units up to 15 levels high, dramatically increasing your rentable space. 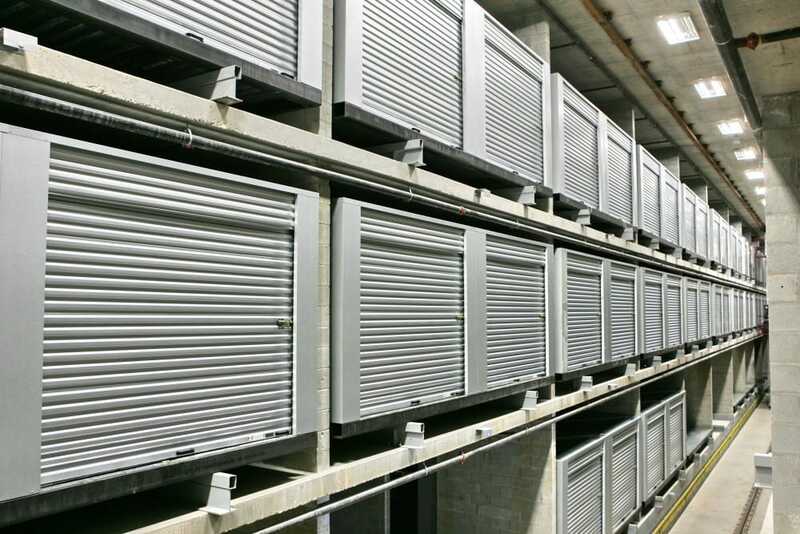 Using automated storage units can increase the net leasable area in your facility up to 25 percent, while reducing your operating costs nearly 50 percent. You never have to turn away business because you don’t have an “appropriate” unit for a customer — since every unit is equally accessible and delivered right to the customer on the loading dock. You aren’t forced to discount some units because of an undesirable location. Every storage module is in a prime space — right next to the loading dock. Better yet, you don’t have to track the location of the storage modules — the software does that for you. Our automated storage systems use Savanna.NET® Warehouse Management Software for storage and retrieval of the pods. This self storage management software tracks and records all module activity, so you have complete records of every action. Customers dislike storage locations that are on high floors, far from the elevators or in dark corners. With automated self-storage, those concerns are eliminated. There’s no waiting for shared elevators, hauling belongings down long hallways, or security concerns. Every module is equally accessible and conveniently delivered right to the customer on the loading dock. 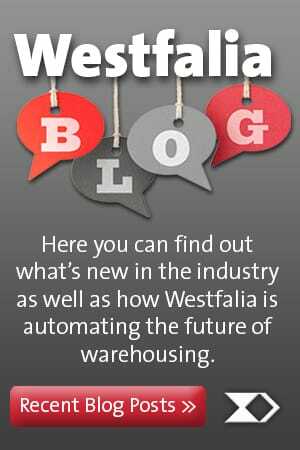 Westfalia Technologies has many years of experience in automation storage and retrieval systems across a wide variety of industrial and consumer applications. 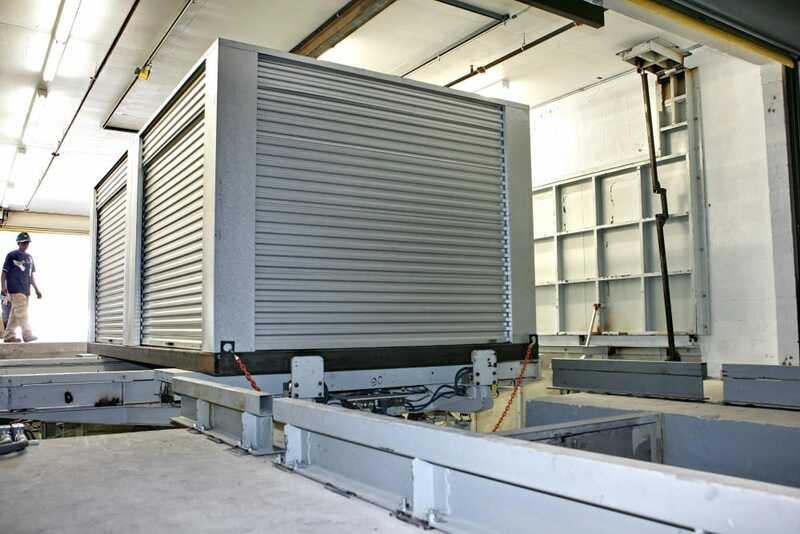 Our self storage building manufacturing team understands your industry, and we can offer a complete turnkey system, including design, installation, racks, modules and software. Our self storage building systems are high quality, secure and cost effective. If you are interested in learning more about the benefits of automated self-storage, contact Westfalia Technologies today.